232 pages | 13 B/W Illus. 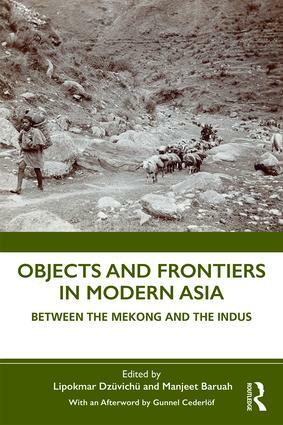 Focusing on the geographies between the Mekong and the Indus, this book brings objects to the centre of enquiry in the understanding of modern Asian frontiers. It explores how a range of objects have historically been significant bearers and agents of frontier making. For instance, how are objects connected to aspects of state making, social change, everyday life, diplomacy, political and ecological worlds, capital, forms of violence, resistances, circulations, and aesthetic expressions? This book seeks to interrogate and understand the dynamism of frontiers from the vantage point of objects such as salt, rubber, tea, guns, silk scarves, horses, and opium. It attempts to explore objects as sites of encounter, mediation, or dislocation between the social and the spatial. The book not only locates objects in the specificities of frontier spaces, but it also looks at how they are produced, circulated, and come to be intricately linked to a wide range of people, institutions, networks, and geographies. In the process, it explores how objects traverse and come to inhabit multiple historical, cultural, and geographical scales. This book will be of interest to researchers and academics working in areas of history, social and cultural anthropology, Asian studies, frontiers and borderland studies, cultural studies, political and economic studies, and museum studies. Lipokmar Dzüvichü is Assistant Professor at Special Centre for the Study of North East India, Jawaharlal Nehru University. His research work covers themes on frontiers and borderlands, transport, and labour history, including the history of commodities and circulation, in the nineteenth and early twentieth century North East Frontier of British India. Manjeet Baruah is Assistant Professor at Special Centre for the Study of North East India, Jawaharlal Nehru University. His research areas include history of space and text, translation and borderland, and history and culture of colonial resource regimes in North East India. His published works include Frontier Cultures: A Social History of Assamese Literature (2012) and a work of translation, Remains of Spring: A Naga Village in the No Man’s Land (2016).